Researchers say that we can't choose our children's friends. But strong friendships are a critical indicator of whether a person will thrive in adulthood. How can parents ensure their kids make friends that will help them flourish and grow? Choose the right environment. The night before school started this year, I noticed that my son was unusually fidgety and distracted. Before he headed off to bed, I asked him if he was excited about going back to school. After a long summer of camp and vacation, he had been telling me for weeks how much he was looking forward to seeing all of the kids he remembered and meeting his new teacher. In all of the years of schools, camps, and sports leagues, he had never once expressed this concern. In fact, I’ve always touted his ability to easily make friends as one of his greatest strengths. But of course he was worried about making friends — isn’t that what most kids are worried about when they start a new school year? Whether it’s first grade or freshman year of college, that need for acceptance and camaraderie is what drives us as a social species. According to AARP researchers, 20 percent of Americans reported feeling lonely in 1980. Thirty years later, that number escalated to 35 percent. And with all of the research and literature out there on the importance of friendship to our self-esteem, our long term health and well being, and our ability to thrive as adults, I quickly realized: my son wasn’t the only one who was nervous about his making friends. I was worried, too. But I wasn’t just worried that he would have someone to sit with at lunch. I was worried about him making the right kind of friends — kids who would be a positive influence, who would be patient and accepting, who share our family’s values. No matter how easy or how hard it is for them, we all worry about our kids making and maintaining friendships. We cannot choose or make our children’s friends for them. We can choose the best environment for them to flourish and increase their odds of developing positive, lasting friendships. It’s safe to say that, for the majority of parents, one of the persisting worries when a child starts the school year is whether they will make friends. To be honest, it’s a concern at every age and in every new social endeavor (camp, extracurricular activities, even going off to college). And it's a valid concern. If you look at the research, there is a crisis of loneliness and isolation in the United States. According to AARP researchers, 20 percent of Americans reported feeling lonely in 1980. Thirty years later, that number escalated to 35 percent. And, thanks to Harvard’s 80-year longitudinal study, we know that friendships and relationships more than anything else (money, success, fame) are directly linked to our longevity, and our physical and mental well-being. So the research tells us that our children have a better chance of growing to be well-adjusted, healthier adults with the prospect of a longer life if they have strong friendships. And it shows that isolation and lacking social connections lead to increased anxiety and depression — issues that our children are facing in greater numbers than any generation before them. Of course we are going to worry about our kids making friends. In the age of lawnmower parenting, it’s instinct to want to mow down any potential heartache, heartbreak, or struggle that your child may have — particularly when it comes to making friends. So, you can just make friends for your kid. Right? #2: No. You Cannot Choose Your Child’s Friends for Them. It will go horribly wrong. Why? Because, as psychologist Michael Thompson has learned through decades of research and clinical work, kids want what they want. “They want the teddy bear they want; they want the blanket they want; they want the friendships they want,” he says. And no matter how deep the impulse to micromanage our children’s choices is — or how well-intentioned — there are some things they must do for themselves. So when it comes to friendship, Thompson says, our job as parents is simply to be supportive. Making new friends — at any age — can be daunting. For some us us, it's as easy as saying hello. For others, it may take some time. 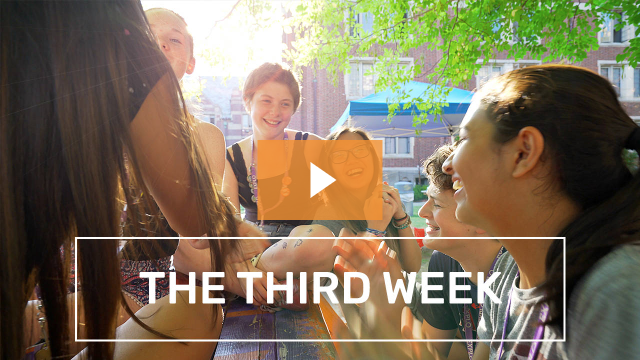 We talked to our students during the summer to get their perspectives on friendship, and though approaches may vary, they all agree: friendship is essential to our quality of life. 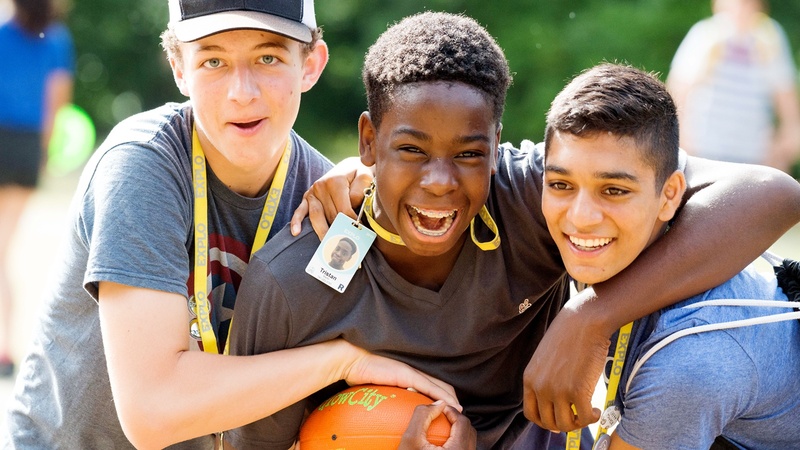 We tell our kids what to do in every aspect of their young lives — where to live, what to eat, when to go to bed, where to go to camp in the summer. Friendship is their one area of autonomy. And, Thompson says, friendship — like love — is natural, and often comes down to chemistry. It’s hard to cut that cord. As parents, we always want to do more (it’s one of the things Thompson says parents ask him all the time). But just because we can’t choose our children’s friends or make friends for them doesn’t mean that we can’t stack the odds in their favor. If you plant a rose bush in the deep shade, it is hardly likely to bloom. Move that same rose bush to a sunny spot with rich, well-draining soil, give it adequate water and time, and there is a higher likelihood it will flourish. Similarly, if you place your child in an environment with children who share their interests and their values, there’s a much greater chance that they will forge lasting bonds and grow from those experiences. 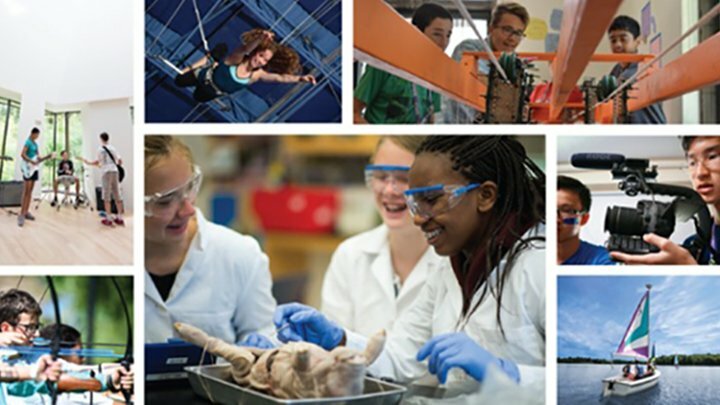 Summer programs are a great place for kids to test these waters and practice making friends. 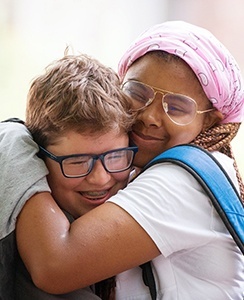 We see it all the time at EXPLO — kids who are looking for a deeper connection than they find with peers at home, kids who are trying on different versions of themselves to determine what feels most authentic, kids who are friends with everybody (but who perhaps need some practice choosing friends that are a better fit for them). lives. Friendship is their one area of autonomy. Because they are at camp for a limited time, there is a degree of anonymity that unburdens kids when testing the social waters. If things don’t go swimmingly, that experience doesn’t have to follow them home or to school in the fall. But they also see that other kids are struggling with the same vulnerabilities, that they are all reinventing themselves for three weeks, and that they can be more open and honest with each other through that process. 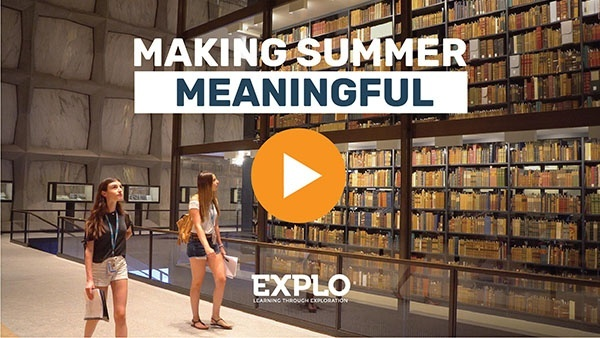 Our students tell us all the time that EXPLO is the place they come to be themselves — where they can dance in the talent show, where they can take a medical careers course and a magic workshop, where they can be both the athlete and the intellectual. They make lasting friendships here because they are surrounded by people who share their interests and support their differences. By the time they go back to school, they’ve had a little more practice identifying the types of friends who make them feel fulfilled and how to approach making new friends. The anxiety begins to subside as they figure out who they are; and as they figure out who they are, kids are much more likely to stand for themselves — and less likely to make friends with those “bad influences” we’ve all been worried about.